We, Citycab, offers secured and safe driving by professional drivers to respond to customers’ needs and requests. We offer supreme taxi & hire service for playing golf, pick-up and drop-off to and from airport, and sightseeing in Tokyo area. We can support customers in English for their business trip or personal travel. Citycab offers pick-up / drop-off service to all customers who use the airport. Citycab provides supreme high quality hire / taxi service in and around Tokyo area. Please feel free to contact us if there is anything we can help you. Please visit our page “Pick-up / Drop-off at Airport” for reference. Please refer to the page of Airport Pick-up / Drop-off for detailed information. Our hire-taxi service provides very comfortable, high-quality environment of high grade hire-taxi and meticulous service by our drivers. We offer hire-taxi service with high value added transportation. Citycab’s hire-taxi is utilizied for various purposes which focuses in picking-up and droping-off of business executives, leaders of government and municipal offices, and VIP from foreign countries. We, Citycab, belive that hire-taxi is not merely for transportation, but is also a place that provides good communication, comfortable time, a hospitable space, and supreme amenity. We hope to be honored with your requests and orders. Please don’t hesitate to contact us if there is anything we can help you. Citycab can support and guide customers in English. Citycab will pick-up and drop-off customers by hire-taxi with secured, safe, and comfortable space. Please feel free to contact us and use Citycab hire-taxi . Citycab is available for picking-up and droping-off service for golf clubs. Citycab will take customers to golf courses by luxury hire-taxi with a comfortable environment. Please feel free to contact us when you are going to golf course. 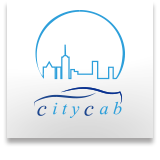 Citycab provides safe and comfortable driving for sightseeing in Tokyo area. Whenever you will have sightseeing plans in Tokyo area, we will offer and provide secured and comfortable driving so please feel free to contact us to use our hire-taxi service.